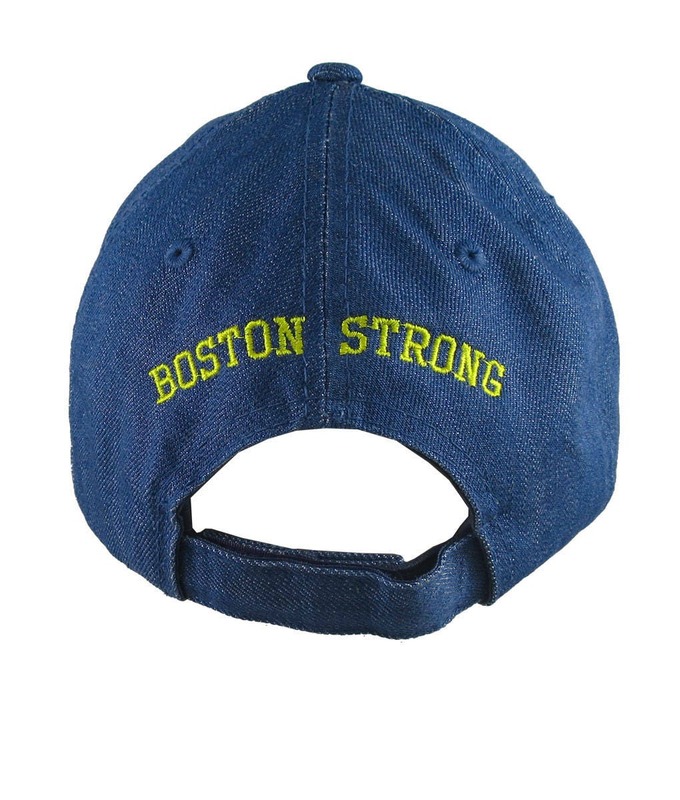 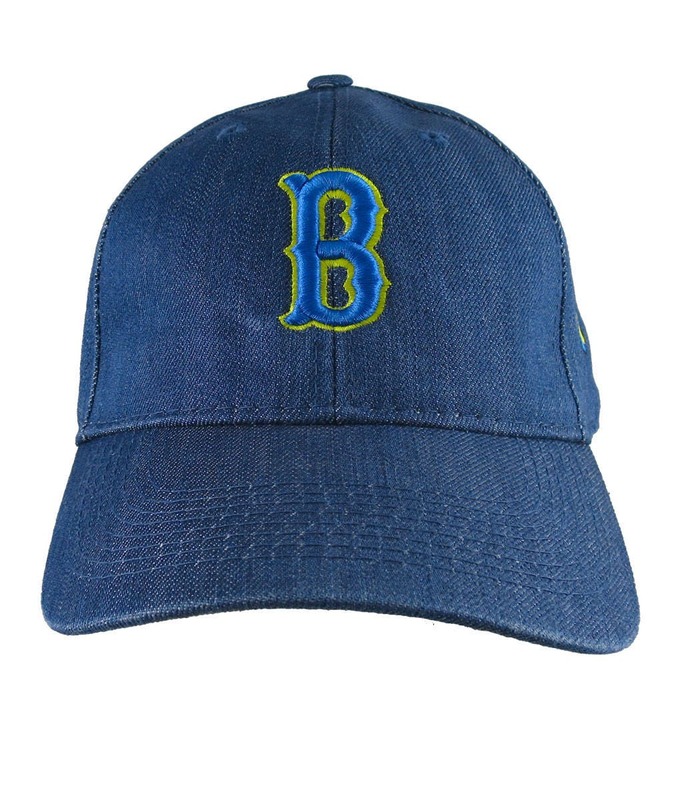 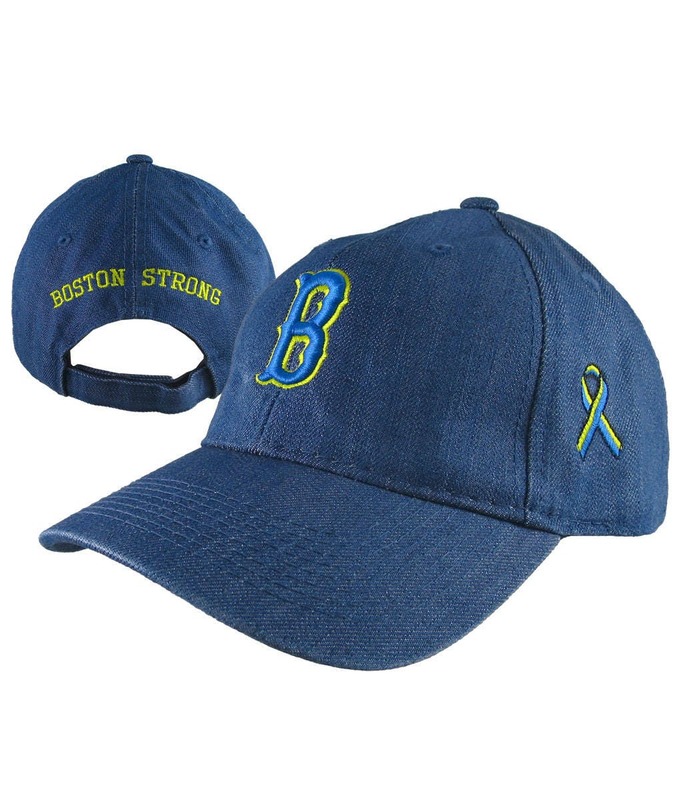 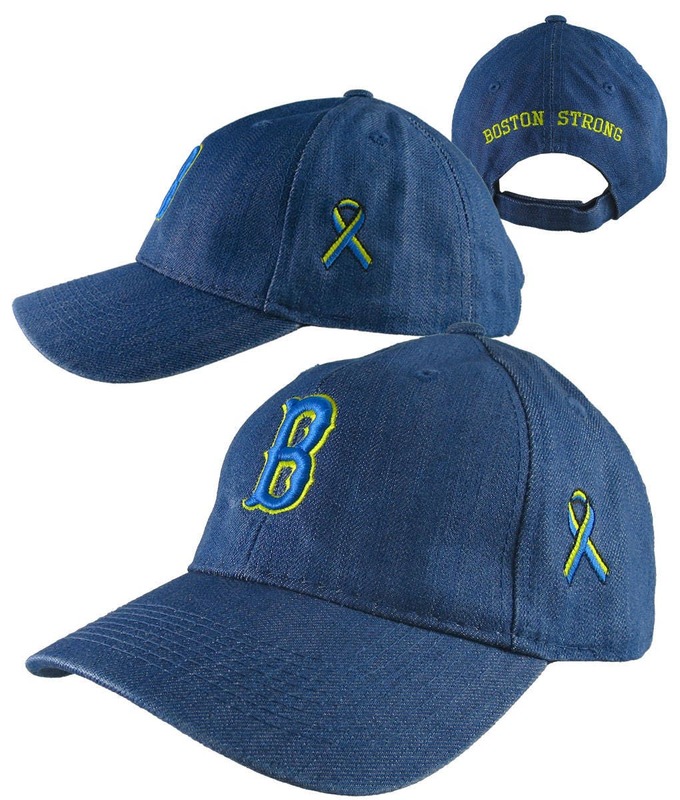 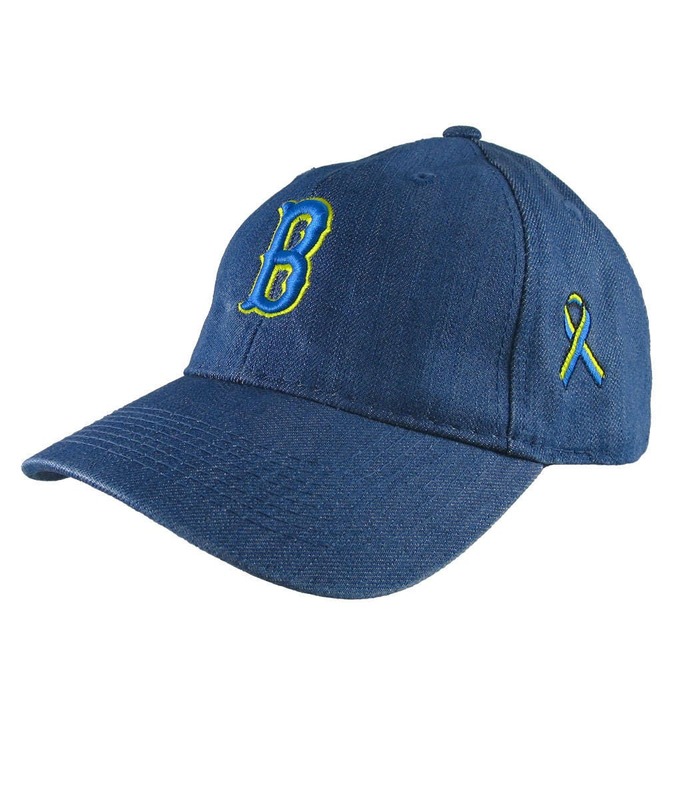 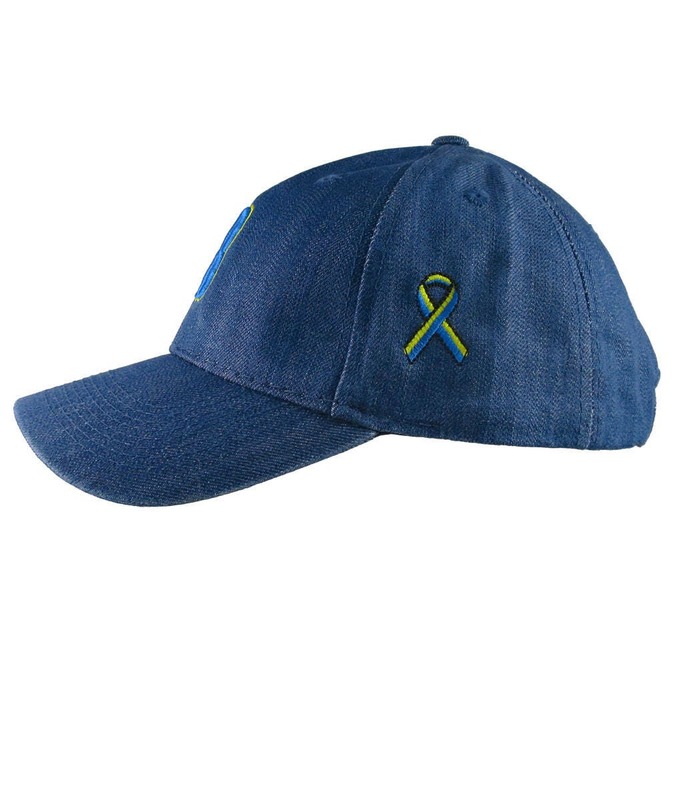 A Boston Strong remembrance ribbon embroidered on 3 locations on this fashion full fit blue denim classic adjustable baseball cap. 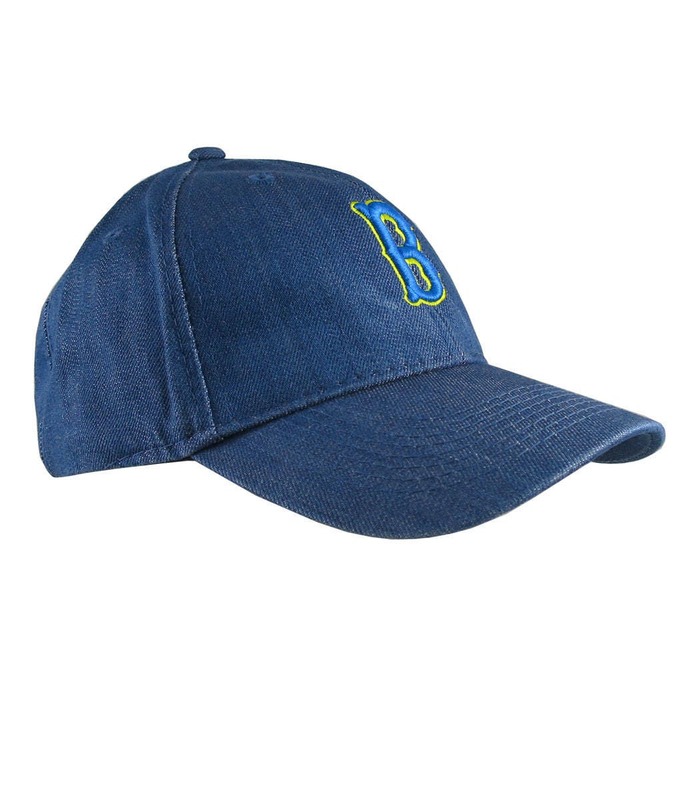 The embroidery work is done in royal blue and true yellow thread colors. 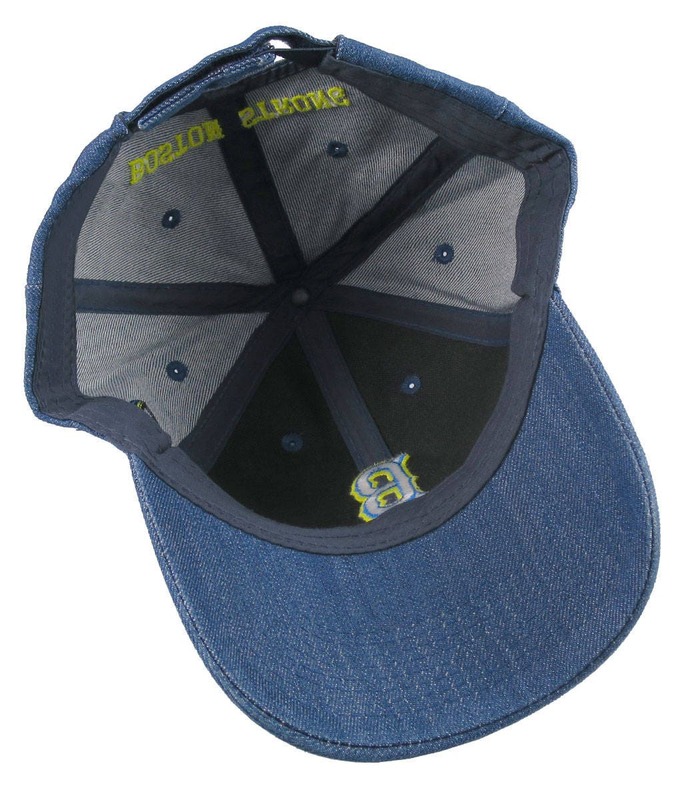 The front embroidery decor is done in the 3D puff raised embroidery style.